2Fish Biology and Ecology Department, Central Laboratory for Aquaculture Research, Abbassa, AborHammad, Sharkia, Egypt. 3Chemistry Department, Animals Health Research Institute, Dokki, Egypt. 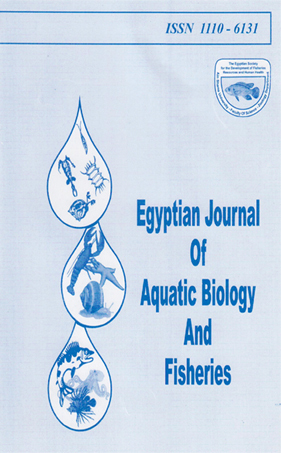 This study was carried out to assess the effects of butataf herbicide on the physiological state and reproductive endocrine function of Nile tilapia " Oreochromis niloticus". The 96 hour half lethal concentration (96 hr LC50) of the butataf herbicide (N-Butoxymethyl-2-chloro-256-diethylacetanilide) determined for the adult Oreochromis niloticus was 0.2 ppm. The field concentration of this herbicide was 0.004 ppm which equals to the V50 of the 96 hr LC50. The present experimental assay was evaluated on the 30lh day of exposure to the VJOO LC50; V50 LC50; V25 LC50 and lAo LC50 in comparison with control group. During determination of the 96-hr LC50, the fish exhibited erratic swimming movements. The mucus secretion was increased and accumulated on the gills, so the fish exhibited a respiratory disorder with surfaced swimming, opening their mouth with rapid and frequent exhalation. The red blood corpuscles (RBCs), haemoglobin (Hb) and haematocrit (Ht) were decreased significantly in fish groups exposed to butataf herbicide compared to the control one. The plasma aspartaie amino transferase (AST) and alanine amino transferase (ALT) enzymes activities were also decreased significantly in fish exposed to the herbicide. On the other hand, the uric acid and creatinine recorded high levels in fish groups exposed to the high concentrations of the herbicide, also, glucose and total plasma lipids were increased significantly in all treated groups. Meanwhile the total plasma protein was strongly decreased and the effects were dose-dependent, as well as the fecundity, gonado-somatic index and hepato-somatic index. Estradiol and testosterone hormones showed severe changes in females and males specially those exposed to the high concentrations of butataf herbicide. Also, T3 and T4 recorded the same trend.